The Institute of Advanced Motorists (IAM) has published a range of tips to help drivers stay safe when taking to the nation's motorways. According to the organisation, a significant proportion of road users fail to apply best practice when driving on the UK's motorways and this presents a risk to safety for both themselves and other travellers. As a result, drivers are advised to make note of correct lane positioning and to stick to the left-hand lane when the road ahead of them is clear (unless instructed otherwise either by lane markings or overhead signage). 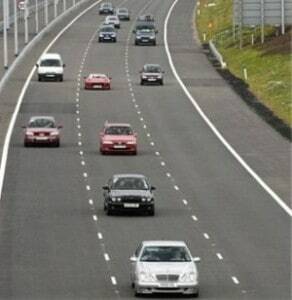 Drivers should avoid middle lane hogging – a practice that is now illegal and can result in motorists being fined or even prosecuted – and they should be aware of other road users around them at all times. Keeping a sensible distance between oneself and drivers ahead on the road is also essential in terms of promoting better road safety and in helping to avoid unnecessary frustration for all travellers. Motorway users should also pay close attention to the instructions given to them via overhead signage – an issue that is becoming increasingly important for drivers to be aware of, given the growing number of smart motorways that are being rolled out up and down the country. With smart motorways becoming more widespread, understanding the messages relayed via overhead signage is now essential for all drivers. As such, the IAM has reminded individuals that a red X denotes a lane that is closed to all traffic and should be vacated immediately, while variable speed limits will also be displayed that drivers must adhere to. Offering some sage advice for motorway users, IAM chief examiner Peter Rodger commented: "Motorway driving need not be stressful so long as you read the road ahead and plan accordingly. Never make sudden or last-minute manoeuvres. Keep calm, and your motorway experience will be problem free."